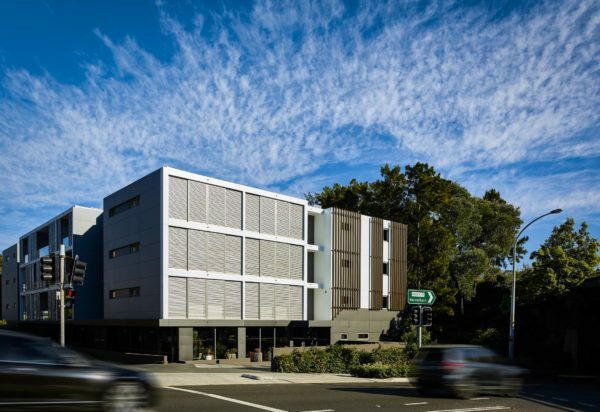 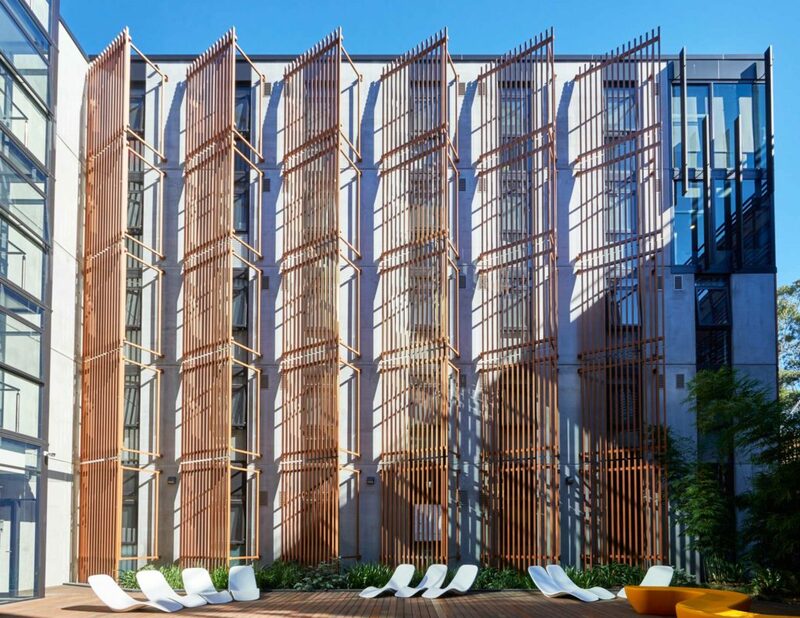 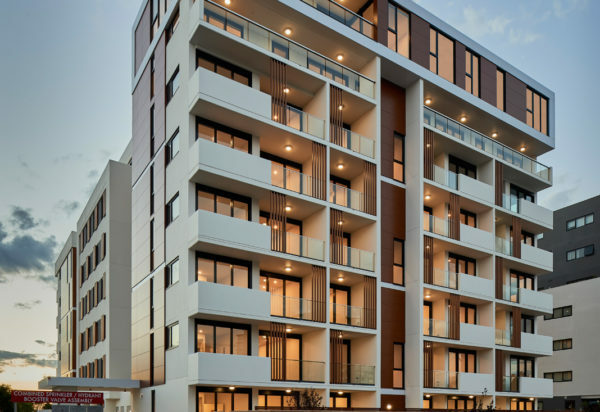 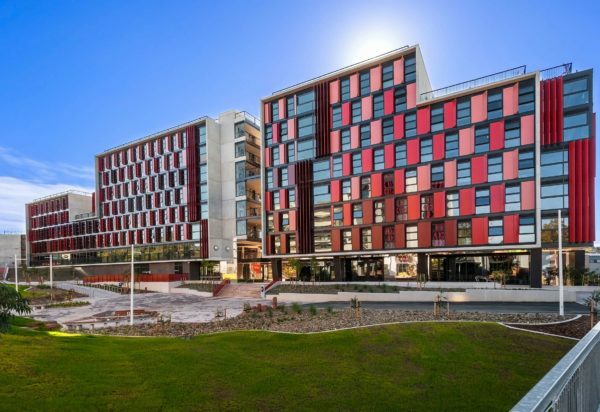 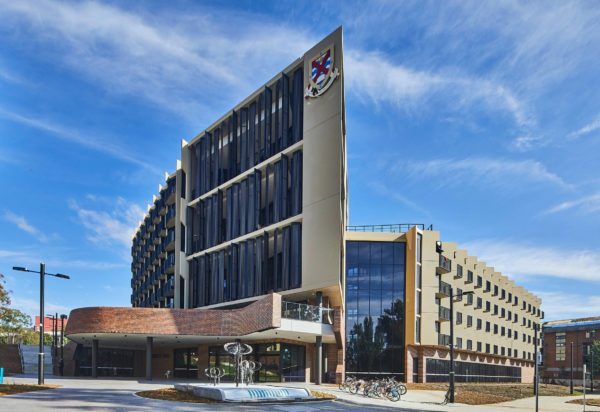 The Abercrombie Student Accommodation project for the University of Sydney is built in conjunction with the new University Business School to provide accommodation to post graduate students. 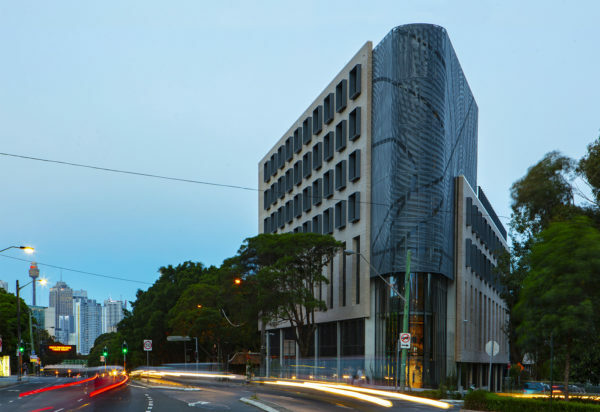 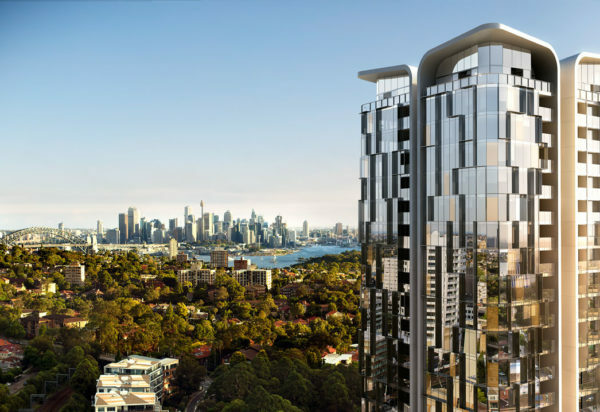 The project arranges 6200 m² over five storeys in an ‘E’ shaped plan with the body of the form located to align with the Abercrombie Street frontage. 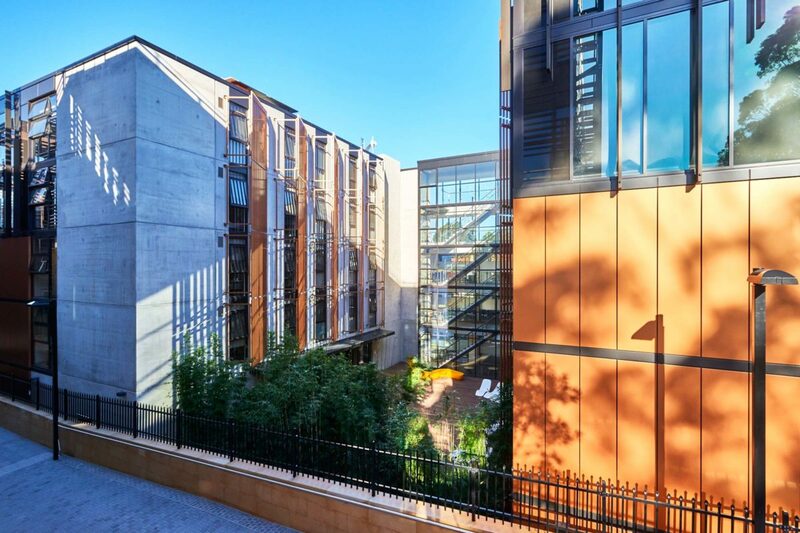 The public three storey component to Abercrombie Street addresses the surrounding context by relating the scale of the building to the adjacent terraces. 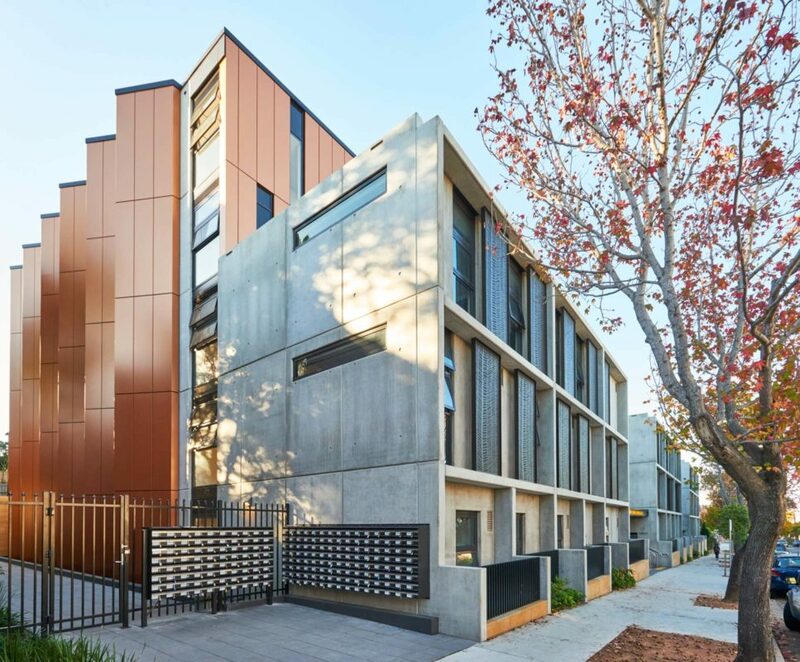 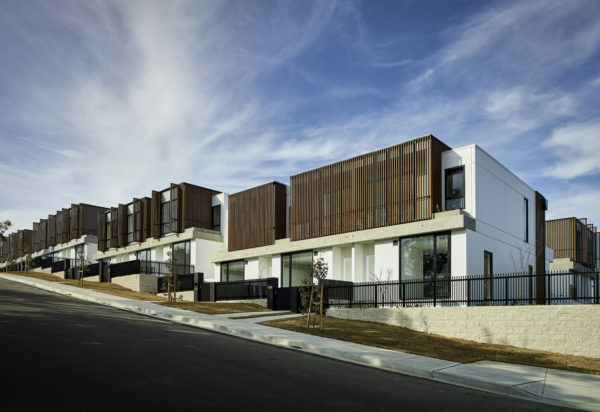 The main building frontage is divided into three distinct components to articulate the horizontal nature of the built form and relate to the terrace streetscape, in terms of scale and rhythm. 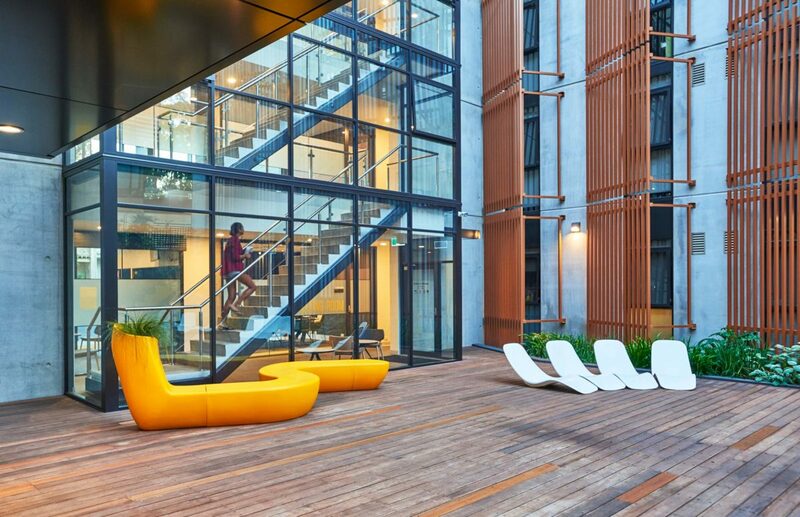 Connecting the three components are large glass links which maintain visual permeability through the site and promote activity by encasing study and breakout rooms off the main corridor. 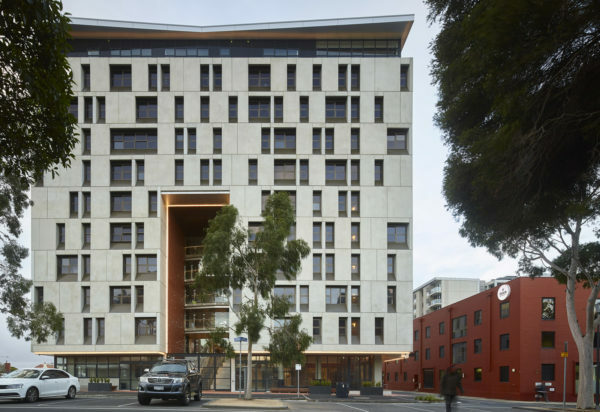 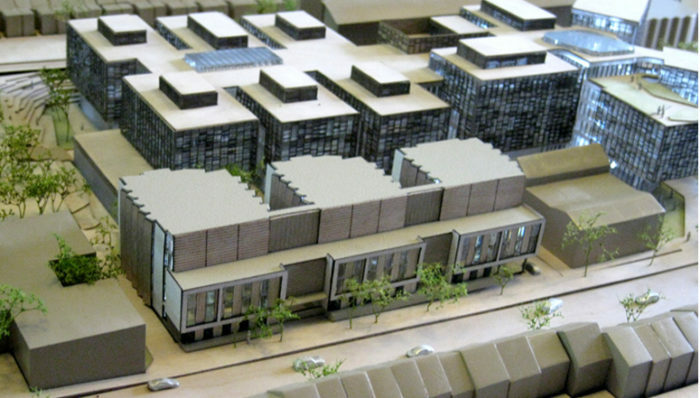 The three wings of the building are each five storeys and are setback from the street to create separate and private student ‘villages’ comprising bedrooms and breakout spaces. 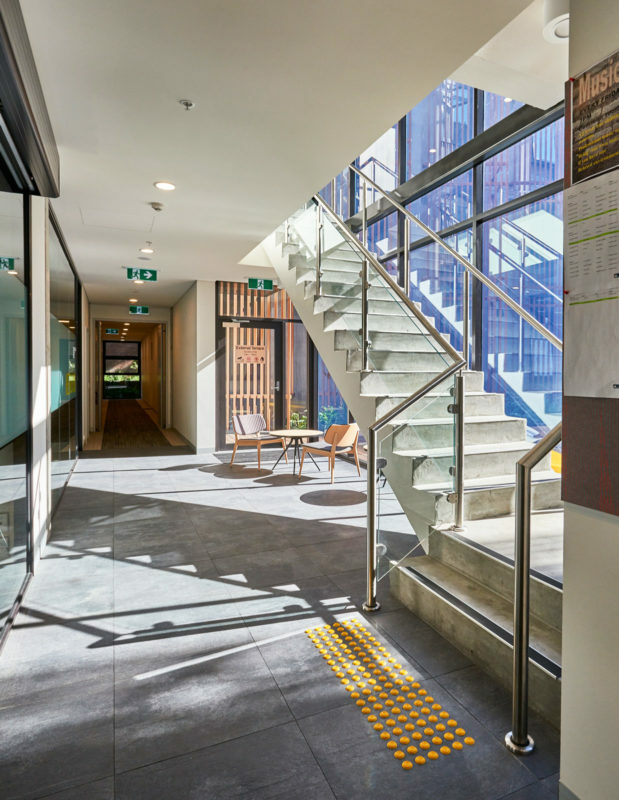 At ground floor the central wing comprises a large communal room with a kitchen, lounge and games. 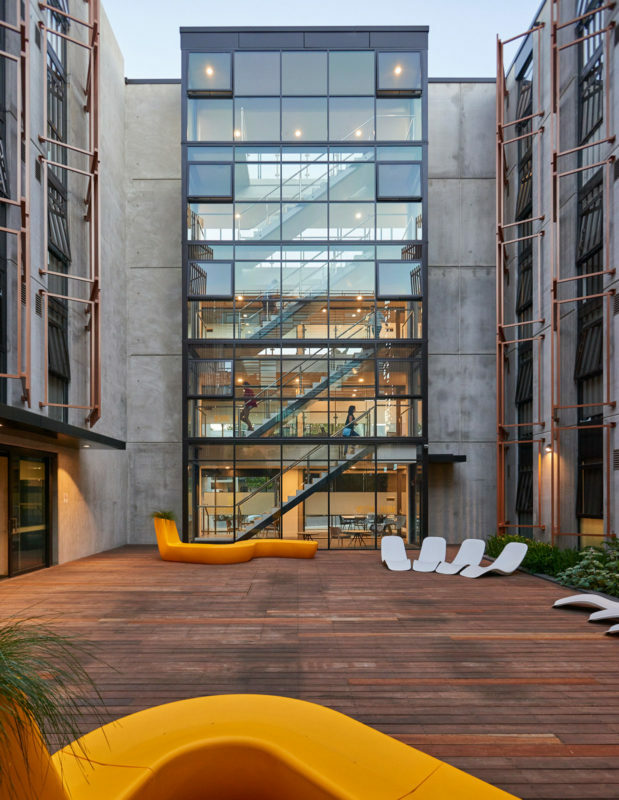 This social heart of the building opens up to large north facing courtyards on either side.